Shirley Temple dolls, fashioned after the child star Shirley Temple, are highly collectible and sought after in the doll collector's world. The original wood-pulp composition dolls were made in the 1930s and 1940s by Ideal Toy Company. Later versions were manufactured in vinyl by Ideal and in porcelain by Danbury Mint. If you own one of these popular and well-known dolls and the time comes for you to sell it, there are various methods you can use to exchange it for a significant sum of money. Evaluate the worth of your Shirley Temple doll in today's market. The original wood-pulp composition dolls made in the 1930s did not always hold up well so dolls in good condition are rare and sell for the highest price. The vinyl dolls, first made in 1957, vary in value depending on the packaging, condition and age of the toy. Porcelain Shirley Temple dolls were not manufactured by Danbury Mint until the 1990s so their value is not historical but rather in the construction and detail. Advertise your Shirley Temple doll in a collector's magazine, preferably one that specializes in dolls or toys. Readers looking specifically for the type of doll you are selling would be able to find it easily. Price negotiations would be between you and customers who answer the ad. You may be able to gather several offers before selling the doll to the highest bidder. Advertise on Internet sites such as Craigslist, eBay, and Amazon. Many collectors effectively sell their dolls on these Internet sites because their products receive exposure to viewers from all over the world. 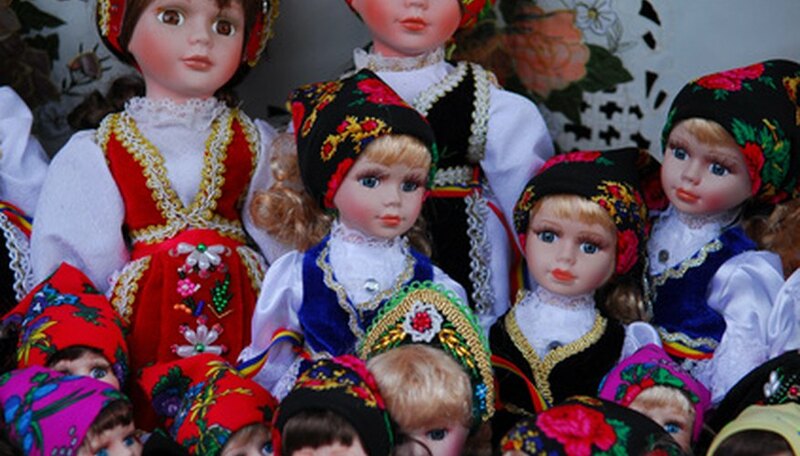 There are also websites belonging to individuals who buy, sell, and trade dolls. Sell it on consignment in a local antique store that features dolls. You would have to give a percentage to the seller but she may have several contacts that are looking for just that kind of doll and be able to negotiate a higher price. Display and sell the doll at a doll show or expo. This works especially well if you have a large collection of dolls to display and sell. Hundreds of people attend these events and your chances of high-revenue sales are good. Buyers and sellers can also meet periodically at Shirley Temple Conventions -- the last one was held in Atlanta, Georgia, in 2000 and the one before was in Australia in 1999.